When dealing with a disabling illness or injury, or if you are the loved one of a servicemember who lost their life in service to our country, it can be difficult to know where to begin filing a VA Disability claim or even what type of claim to file. We’ve put together a short list of the different types of VA Disability claims to help you understand which category your illness or injury falls under, so you’ll have a better idea of your next best step to begin. We are honored to serve veterans and their families. To take a closer look at each of the types of VA Disability claims, just click on one of the categories below. Evidence of a current disability. Medical/lay evidence of in-service occurrence of a disease or injury (or aggravation of a prior existing injury). Evidence of a nexus between the in-service event/aggravation and the current disability. “In the line of duty” has been interpreted very broadly to cover anything that occurred during the veteran’s time in active duty. This can include incidents which occurred when a soldier was on leave and other events which don’t relate to actual military service, such as accidental injuries from playing sports. In addition, veterans can claim “delayed direct” service connection for latent medical conditions which don’t appear during active service, but arise years later. With limited exceptions, service connection does not extend to problems caused by willful misconduct, such as the abuse of drugs, alcohol, or tobacco. While combat-related injuries are covered under general compensation for in-service injuries, combat-related occurrences may not be recorded, may be recorded inadequately, or records may be destroyed over time. Because of this, combat veterans receive special treatment with regards to proving an in-service injury/event. Federal law lowers the veteran’s burden in showing that the occurrence in service actually happened. 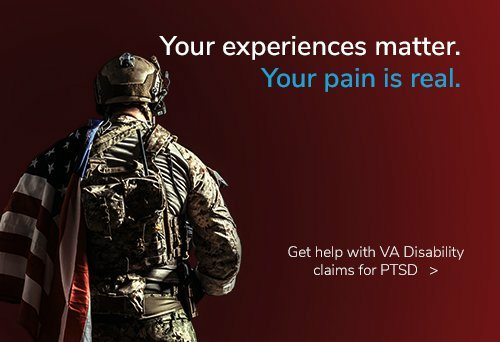 While combat veterans have an advantage in proving an in-service occurrence, credible medical evidence is still required for the other two prongs of proving service connection – evidence of a current disability, and nexus between that current disability and the in-service occurrence. The lower burden of proof for in-service occurrences only applies to those which are combat related. Veterans who did not engage in combat or who are claiming a disability from an occurrence which happened outside of combat cannot take advantage of the combat injury statute. If a veteran makes a claim for a combat-related injury but does not have sufficient records showing that he was in combat, the VA is obligated to assist the veteran in finding evidence to support his claim. This is part of the VA’s affirmative duty to assist veterans in making their claims. Ultimately, determining whether a veteran engaged in combat depends on the facts of each case and the available evidence. Veterans with wartime service may be eligible for the income-based Pension benefit. The Pension benefit is a tax-free monetary benefit provided to low-income veterans to supplement their income. Veterans seeking the Pension benefit must have a yearly family income lower than the rate set by Congress. In order to satisfy “wartime service,” generally a veteran must have had 90 days of active duty service with at least one day during a wartime period. Veterans who entered active duty after September 7, 1980 generally must serve at least 24 months or the full period for which they were ordered to active duty, with at least one day of service during a wartime period (there are exceptions to this). For any condition that existed prior to service, the VA will pay for any additional disability caused by active military service. In order to prove aggravation of a condition by military service, the veteran must present credible medical evidence of the aggravation. Veterans who are seeking to prove aggravation will usually need to get an outside medical opinion, in addition to the VA medical examiner. A veteran may be entitled to service connection for conditions which were not directly connected to active duty service, but were secondary to or caused by a service connected condition. The effect of the secondary connection is to make the conditions service connected as any directly connected condition would be. In order to prove that conditions are secondary to or caused by a service connected condition, a veteran must provide sufficient medical evidence. The examining VA doctor or independent doctor must determine that it is as likely as not that the condition(s) in question were caused by or are secondary to an already service connected condition. Unfortunately, doctors can make mistakes. If a veteran feels that he has been harmed by negligent care by the VA, he can bring a claim for benefits under 38 U.S.C. 1151. This applies to VA hospital care, medical or surgical treatment, examination, training and rehabilitation services, and compensated work therapy programs. To receive benefits under Section 1151, a veteran must demonstrate that due to VA care, they have an “additional disability,” that was caused by VA care, and the result of negligence on the part of the VA, or by an event not reasonably foreseeable. To determine whether the veteran has an additional disability, the VA will compare his condition immediately before the beginning of VA care to the veteran’s condition after such care. The VA will consider each body part or system separately. Claims filed prior to October 1, 1997, didn’t require any finding of VA “fault” – simply showing additional disability after VA care was sufficient. For claims filed on or after October 1, 1997, the VA must be found to have been at fault. When a veteran feels that he has been injured as a result of VA care, there are two ways for him to seek a remedy. The first route is to file a claim for a Section 1151 benefit based on VA negligence. The second option exists outside the VA adjudication process – the veteran can file suit against the VA under the Federal Tort Claims Act (FTCA). A veteran can file both claims, and recover under both. However, VA benefits will be withheld until the entire amount of the FTCA judgment has been offset. Under the FTCA, individuals can file suit against the federal government alleging some kind of governmental injury or negligence. Unlike 1151 claims and other VA-specific claims for benefits which go through the VA’s separate adjudication process, FTCA claims will go through a U.S. District Court. An FTCA claim against the VA/federal government operates in the same manner as other civil claims – if negligence or intentional injury is proven against the VA, the court will determine an appropriate amount of monetary damages due to the winning plaintiff veteran. Unlike VA benefits, these damages will be paid out in a lump sum. While regular VA claims are appealed through the Board of Veterans Appeals and other VA-specific avenues, FTCA claims are appealed directly to the U.S. Court of Appeals and the Supreme Court. While the possibility of a lump sum payment from the VA may sound enticing, FTCA claims are generally more difficult to prove than VA benefits. The FTCA has a higher standard of proof – “the preponderance of the evidence” – as opposed to the “at least as likely as not” burden for VA benefits which favors the veteran. However, there are some situations where a veteran may have a valid FTCA claim where a Section 1151 claim cannot be brought – such as injury due to the act of a VA employee not directly involved in providing the veteran’s healthcare or treatment. Unlike claims for VA benefits (such as Section 1151) which can be filed at any time, there are limitations as to how long a claimant has to file a FTCA suit. Veterans or their representatives who pursue FTCA claims must be aware of the specific filing rules in the statute of limitations. Once the VA has denied a claim and the matter has reached finality, this is known as a “final denial.” Final denial occurs where the denial of benefits was unsuccessfully appealed to the highest authority possible, or where the veteran’s time to appeal the decision to the next level has expired without the filing of an appeal. A final denial is not always the end of a veteran’s attempt to get benefits since, in some circumstances they can reopen the claim. New and Material Evidence: In order to reopen a claim which has reached final denial, the veteran must show that there is new and material evidence. Clearly “new” means evidence which was not in the record before the VA when the final denial was made. “Material” means that the evidence is relevant and relates to an unestablished fact necessary to substantiate the claim, and has a legitimate influence or bearing on the decision in the case. New and material evidence must address one of the reasons for denial given by the VA in the final denial. This means that submitting new evidence in and of itself won’t always qualify the claim for reopening – the evidence must address a reason given by the VA for denial. Once the VA decides that a veteran has submitted new and material evidence, the finally denied claim is reopened for another evaluation. The VA must then consider the new evidence along with all prior evidence in the record before it, as if it were deciding the claim for the first time. This type of review is known as a “de novo” review – the VA cannot give any weight to the fact that the claim was previously denied, and must evaluate the entire record before it anew. Claims for increased disability ratings, non-service connected pension benefits, or TDIU are always considered new claims, even if they have been previously requested by the veteran. For these types of claims, if a veteran alleges that a fact related to the benefits has changed since the VA last finally denied the claim, it is counted as a new claim. When the VA grants a benefit, the veteran will be granted the amount of the benefit owed since the “effective date” of the claim. Generally, the effective date is the date the VA received the claim, or the date that entitlement to the benefit arose, whichever is later. For reopened claims, generally the effective date is the date the VA received the reopened claim, or the date that entitlement to the benefit arose, whichever is later. Sometimes, a veteran may get a positive rating from the VA but feel that the effective date is improper. There are several arguments that allow for an earlier effective date for the veteran’s claim, thus increasing the amount of monetary benefit they receive. Nehmer: Under Nehmer, the effective date for a newly granted claim for service connection due to Agent Orange may go back to the original filing date of the claim. Particularly for disabilities that were first diagnosed in the 1980s and 1990s, and granted recently the effective date can potentially go back decades. CUE Claims: When a veteran is successful at proving clear and unmistakable error in a VA decision, that original decision is modified and the new award has the effective date which would have been in effect had the VA made the original decision correctly. Change in Law: Sometimes, there will be a change in the governing law while a veteran’s claim is pending. This can occur either with the issuance of new regulations, or the enactment of new statutory law by Congress. When this occurs, the VA generally applies to the pending claim whichever version of the law is more beneficial to the veteran’s claim. When the law in existence prior to the change is more favorable to the veteran than the law after the change, then the change in law doesn’t affect the veteran’s effective date. However, when the law after the change is more favorable to the veteran, this is considered a “liberalizing” change in law. When a veteran was awarded benefits as a result of the favorable change in law, they cannot receive an effective date earlier than the effective date of the favorable statute or regulation (even if they filed the claim at an earlier date). Changes in law can have other various effects on the effective date of a veteran’s awarded benefit. Increased Rating Claims: The effective date for an increased rating is the date of the claim, or the date of the increase if the claim was filed within one year of the increase. Pending Claims: When the VA fails to adjudicate a pending claim until much later than when the claim was filed, the veteran or his representative can make an argument that since the claim was left pending by the VA, the veteran should be granted the earliest possible effective date with regards to when the claim was originally filed. New Service Records: At times, the VA may not have all of a veteran’s military service records before them when deciding a claim. If the VA denies a veteran’s claim, and then receives the veteran’s relevant service records which were not previously before it, they must reopen the claim and reevaluate it. If the VA then grants the veteran’s claim, then the effective date may be the date the VA first received the claim for service connection, even if it was originally denied. There are exceptions to this rule which depend on the type of records received and other factors. Veterans who believe that their claim was improperly denied by the VA may file a motion asking the VA to revise that decision based on clear and unmistakable error (CUE). Decisions by the Board of Veterans’ Appeals (BVA) or a VA Regional Office (RO) can both be challenged by CUE. A CUE error is one where the VA made an error in fact or law, and had the error not been made the decision would have been different. CUE motions must be based on veteran’s record and the law at the time of the decision which allegedly contained the error. Failure of the VA to give a sympathetic reading to the veteran’s filings by determining all potential claims raised by the evidence. Failure of the VA to apply applicable regulations. Failure of the VA to properly apply the Schedule of Rating Disabilities. Incorrect application of a regulation or statute by the VA.
An argument that a medical diagnosis relied upon in a denial was incorrect in light of a medical diagnosis rendered after the decision. An argument based on a failure of the VA to fulfill its duty to assist. A disagreement as to how the facts were weighed or evaluated by the VA.
An argument based on change in the interpretation of a statute or regulation occurring after the decision. The Effect of a CUE Decision: Where a veteran wins a CUE motion and it is determined that the original decision constituted clear and unmistakable error, that decision is nullified and the VA is directed to issue a new decision, based on the effective date of the original claim. This has the effect of getting an effective date that can go back many years. If you’re a veteran looking to file a claim, or you’ve been denied and you’re hoping to find some help, give us a call! Bluestein Attorneys would be happy to speak with you regarding your unique situation and walk you through what steps to take next. Request your FREE VA Disability consultation by calling (803) 779-7599 or just fill out the form to the right. Request your FREE VA Disability consultation by calling (803) 674-8818 or just fill out the form to the right.